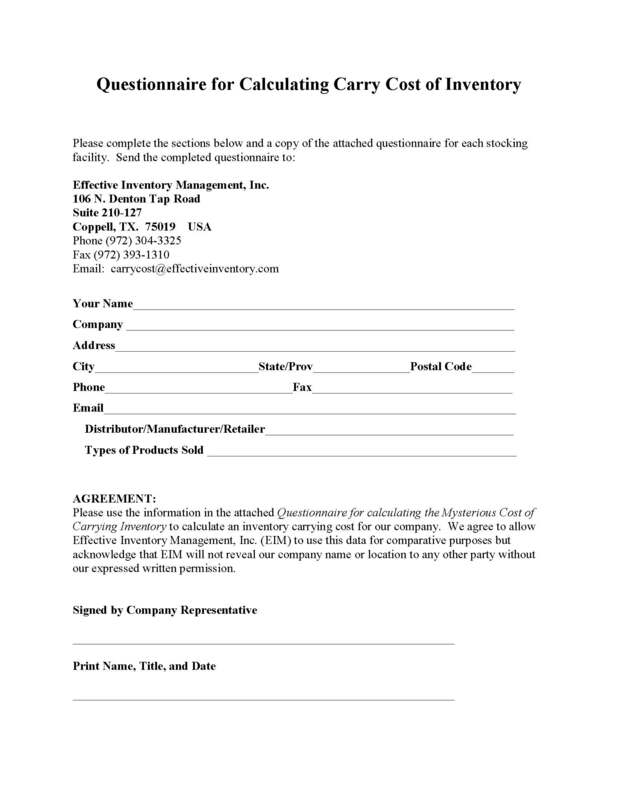 EIM would like to help you calculate your cost of carrying inventory. If you will print and fill out this questionnaire and send it to us by email, mail, or fax, we will calculate your carrying cost and send you a comparison of your answers to each question to others in your region and industry. There is no charge for this service as long as you agree to let us add your information to our database. Please note that all responses are confidential. Data we present to other companies will not identify your company name or location. We will only contact you with the results or if we have questions concerning your answers.